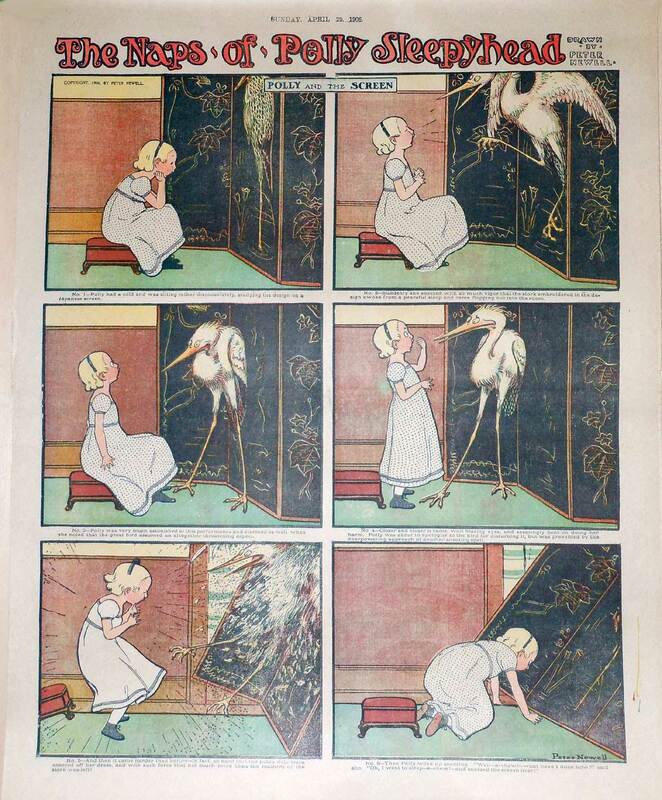 A few years ago I put online an almost complete set of Peter Newell’s comic-strip series, The Naps of Polly Sleepyhead, which appeared in the Chicago Tribune and in a few other newspapers from 25 February 1906 to 22 September 1907. Unfortunately the images are b/w and in some cases they are difficult to read. This is beautiful. I can also recommend the book ‘Art out of Time, (unknown comic visionaries, 1900 – 1969)’ by Dan Nadel, for some reprints of well drawn old comics.